"All Delius - All The Time"
These are rare recordings of Delius' music taken from out-of-print CD's, LP's, tapes, radio broadcasts and other sources that are not available commercially. If any of these recordings see a new commercial release, they will be removed from the site. RIGHT CLICK on the MP3 link to download the file to your computer. OR: LEFT CLICK to listen to the file using your browser's audio player plug-in. from Amazon.com. Click here for more information. 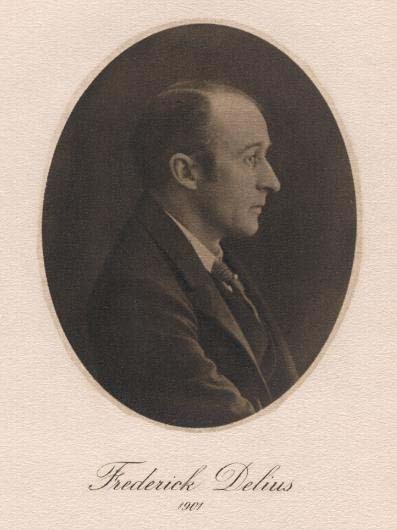 Here are some rare radio broadcasts of Delius works. I have edited several to correct speed and pitch and/or remove pops and clicks. His Majesty's Theatre Orchestra - Percy Fletcher, cond. Click here to hear realistic MIDI Orchestrations of Delius works, including unpublished works.